My new album, 80864, presents 2 years of experiments with the TR-808 and C-64. 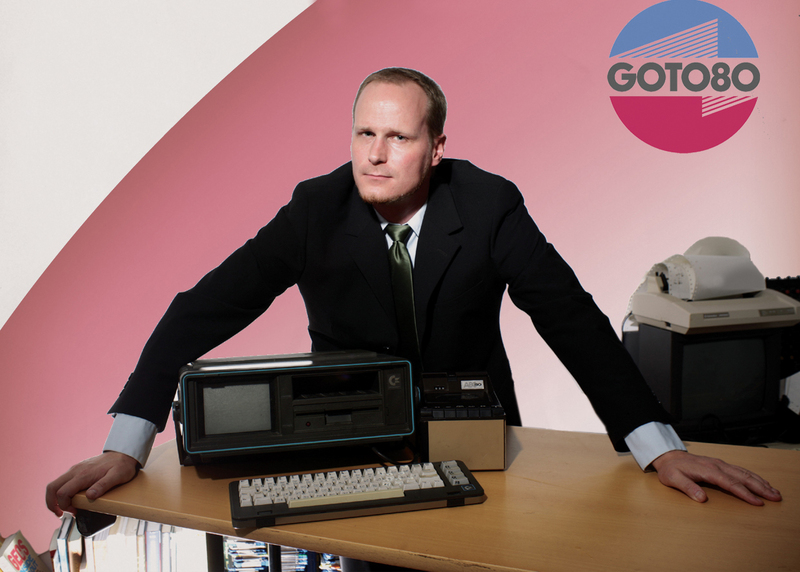 It’s out on 12″ floppy style vinyl, cassette and for download. If you buy the vinyl you also get 7 bonus tracks digitally. I think at least half of the vinyls and cassettes have already been pre-ordered, so don’t be lazy! Read more about it here. Some of the songs have also appeared on compilations, in art projects, and in the demoscene. Ter4 was made for the Amiga-demo GBG by Up Rough and TBL, and was in fact a remix of a song called 3 that I released under the name Extraboy on Subnatura. Ter4 was also used in the video Pilgrim’s Progress, an art installation by Scott Jon Siegel, another Amiga-demo by Nori K, and some other things. Decibel Detective was used in the Ferret Show (2012), where it was performed together with Uwe Schenk’s jazz band and Raquel Meyers on live PETSCII visuals. Audio recordings of this was released on Upitup aswell. But it was first released in Microdisco vol 4 – crime (2007). Back in those days I often won demoscene competitions. Chasing Pop won the Amiga music competition at LCP2005, and Datahell won the C64 music competition at Floppy 2005. 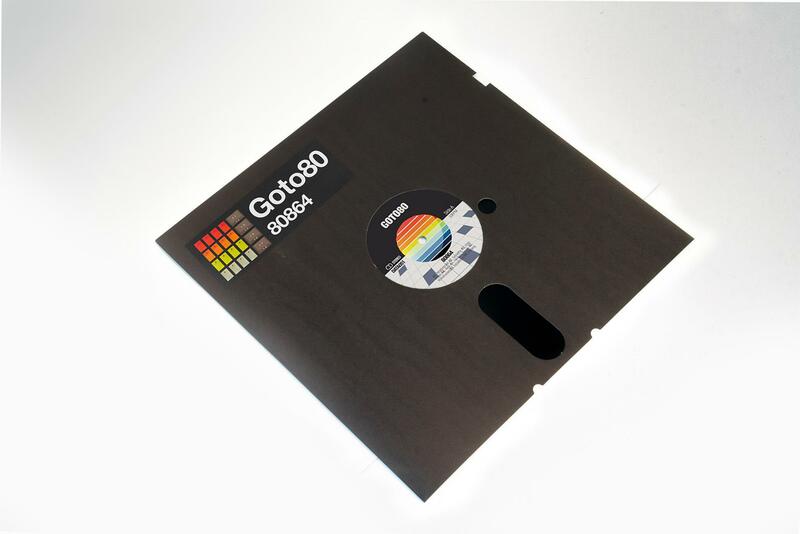 Several songs were featured in C64-demos by Fairlight: Emanation Machine in a demo with the same name (#1 at LCP2003), Phh in Drop the Basics (#3 at X’2001), Semieasy in Postcards from Stockholm (#1 at LCP2004). As you can see, some of the songs were obviously made before 2004. The most clear example is probably Truth, which was part of my C64-drum n’ bass mix Monkeywarning (Monotonik, 2002) but also appeared in Album of the Year, a C64-music disk from 1999. And the song was actually made in 1998. This is all normal. It can take years to release music. Everything is 2004! Or maybe everything is 2008? Anyway, get yourself a cassette while they last and prepare for new stuff coming later this year! On Sunday my next cassette, 0407, will be released on Data Airlines. 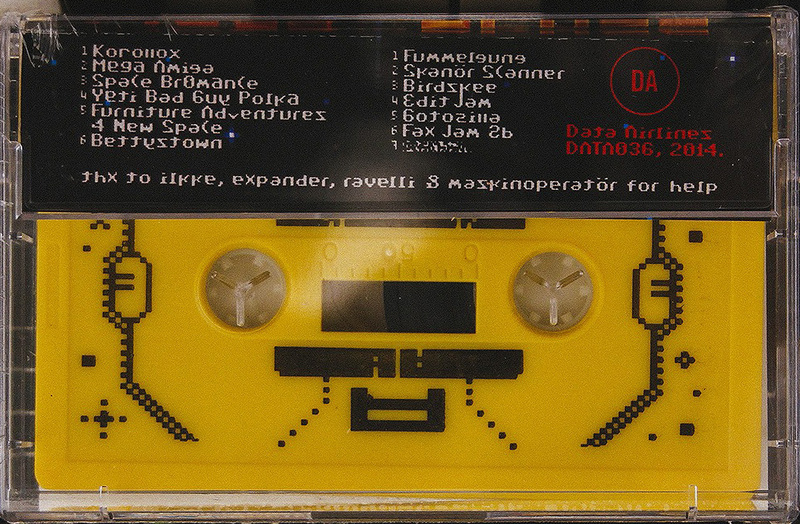 Phwah, cassettes are so mainstream I hear you say. 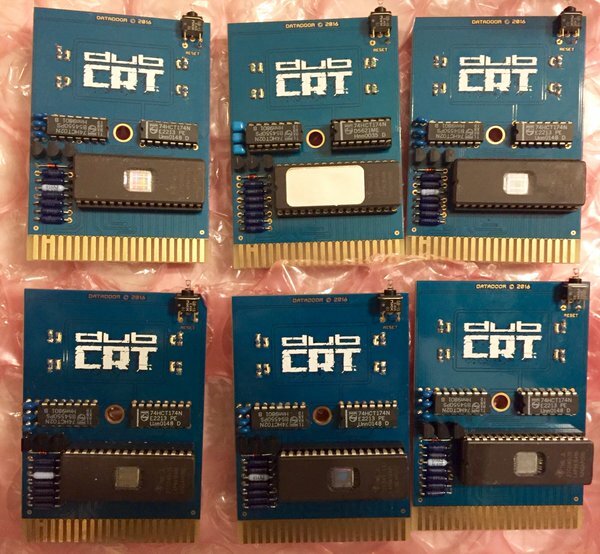 Well, then I’ve got something for you (soon) – a C64-cartridge by the name of DUBCRT. It has music, generative PETSCII-graphics, LEDs, and hidden parts presented in a mysteriously interactive mega interface. 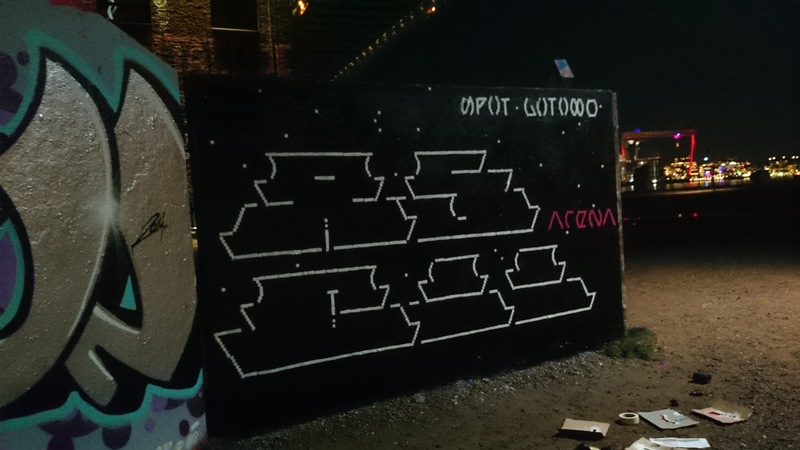 Made by me, iLKke and 4mat, and organized by DataDoor. More about this later. For now, let’s focus on cassettes! I’m putting out a new cassette soon and one of the most exciting things about it is actually the art work, hehe. All the illustration and design was made on a typewriter by the new typewriter master, Lord Nikon. So keep your eyes open for this one. Will be released by Data Airlines. As some of you know, I’ve written quite a lot about chip music and the demoscene: in books, papers, a master thesis, and so on. For the past years I’ve been more interested in researching text graphics, and published a paper together with A Bill Miller in 2012. Now I’m doing a presentation about PETSCII at an academic conference Behind the Scenes in Lódzki, Poland. I did it together with Markku Reunanen (who maintains the demoscene research site) and Tero Heikkinen (who wrote the PETSCII editor together with Markku). Unfortunately I’m not attending in person, but Markku & Tero know how to do it right! At the same conference Gleb Albert is doing a presentation of his new research on the 1980s cracker scene. It seems to be an in-depth look at this sparsely researched subculture, and especially interesting since it considers ideology. Read more here. 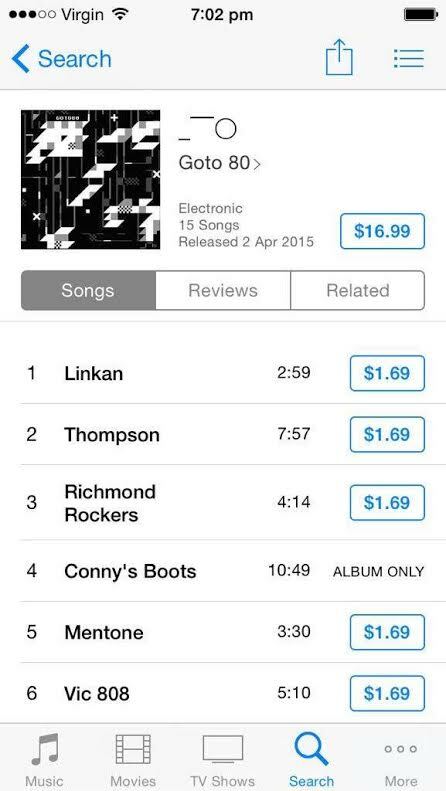 So it took iTunes about a month to publish my album, and rename it. Into “moon and linear clouds”, as Tim Koch put it. Just like they didn’t accept the names of Files in Space, they didn’t accept the OTL-like name of this either. Protip, Apple: if you co-invent a standard you might want to follow it. Anyway – it’s there now. And also on Spotify. And maybe some other places too. But the cassettes are sold out. So, last weekend I was in Copenhagen to perform at the party for Lu Yang‘s exhibition ANTI-HUMANISM. It was a wild night, with Meneo bringing the crowd into pure naked extacy, as always. I started the evening with two improvised sessions, where I continuously took requests from the audience about what music to do. I sat in an office/slave-like setting (see image). 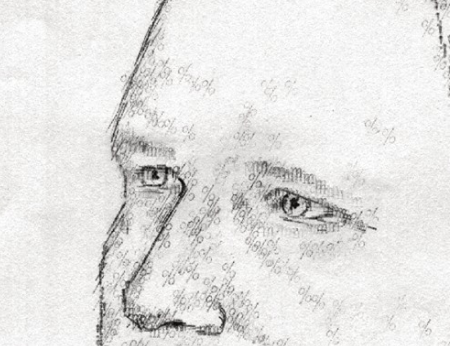 Sort of like a mix between Dataslav and my recent improv-explorations. And it went really well! I’ll see if I can get some recordings of it online. Yeah 2014 bla bla. Well, here’s what I was up to: Among the live performances I did, I played in Valencia for the final party of Europe in 8 Bits, in Manchester for the chipmusic festival Superbyte, in a bus parked in Gothenburg for Snel Hest, at Flogsta’s 10 year skweee anniversary, and I performed a live petscii-movie with Raquel Meyers for kids in Paris. I’ve kept on doing t3xtm0.de (Tumblr, Twitter) together with Raquel Meyers, and we now have 2700+ posts with 5000+ images, and about 6000 followers and le Tumblr. Chipflip is also moving along with some pretty great new releases in 2014, and some new text material aswell. Artwise, there were for example faxes, L0ve Byt3z, Kung Fu Glitch, HT Gold, and I made an art exhibition/performance at Bei Koc gallery in Hannover. 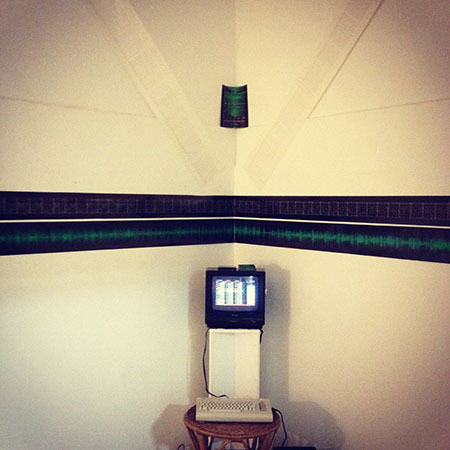 I printed the song Linkan in 3 forms: as audio waveform, as the interface view of the program it was made in, and as RAM-data on a dot matrix printer. For the opening I made two very different jams with the song, which was recorded on two cassettes that I don’t know what happened to. So – this was all a small scale experiment about what music is, how it is represented, and how it’s distributed. I presented the Custom8 project, where you can order your own custom album by me for 30 euros. And there was quite a response! Kept me busy for several weeks. The way I see it, is that I spend 1 hour going through thousands of my own songs to compile what you ask for. The way you see it, you are a happy consumer in the age of mass customization. Or something.. I released an album, more or less called Files in Space, that sold out in a week but is now available as cassettes or CD again. I played with obfuscation by replacing alphabetical letters with similar-looking Unicode characters, and also spammed the titles with diacritics, which led to problems for operating systems, music distributors and file systems. In other words – big success! I had music featured in films, documentaries, and games. I released two mixes, and the one I did together with Divag was #1 at the IDM-charts at Mixcloud. 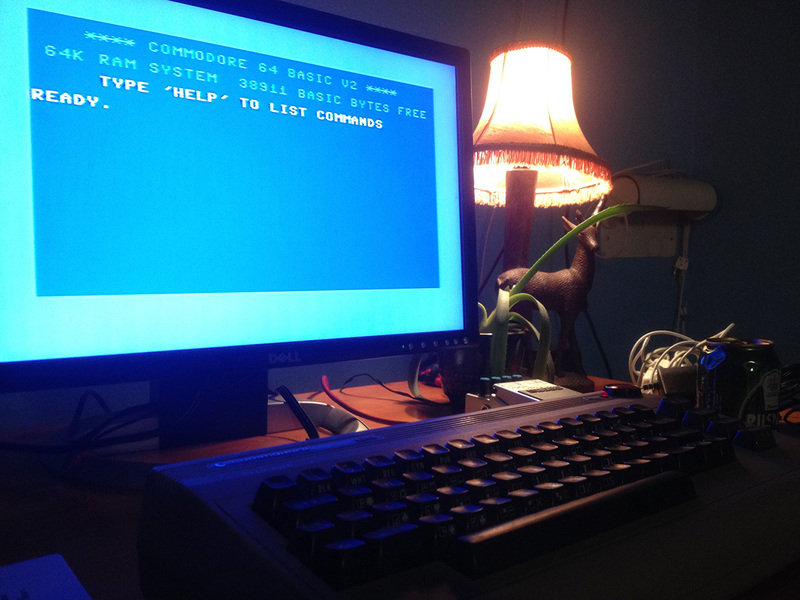 I’ve continued to make improvised C64-sets with the defMON tracker. I just start the computer and go. Without any preparations whatsoever, I make the instruments and the compositions on the fly. In 2014 I did it after screenings of movies about Aaron Schwartz and Piratbyrån at Doc Lounge, at the live coding after party for the FARM-workshop, and at the academic live composing event Friktion. I made some Ascii graffiti and thought I was the first one to do so, only to find that a US startup made a similar thing just a few weeks before. Not sure they did it character-by-character though. But maybe nobody cares? 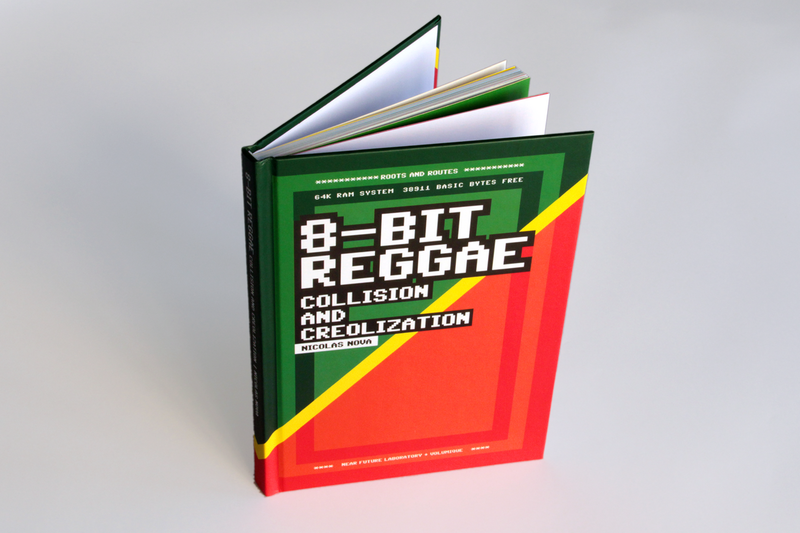 Yeah, and the 8-bit reggae book was released. I was interviewed for it and made a song for the book aswell. 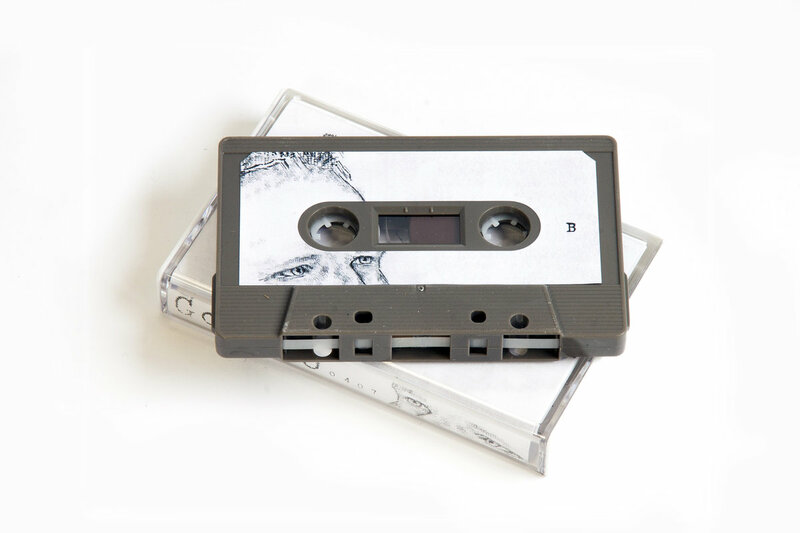 There’s a very limited repress of the Files in Space cassette available, starting today. This time in a flowery urin/gold colour! Get yours here. My master thesis Power Users and Retro Puppets – a critical study of the methods and motivations in chipmusic from 2010, is now available in Japanese. Thanks to Takashi Kawano for the mad effort! Anyway. I might rewrite it into a more accessible and fun-to-read text some day. If you know a publisher who could be interested, let me know!